Dr. Smith grew up on a farm in Cassopolis, Michigan. 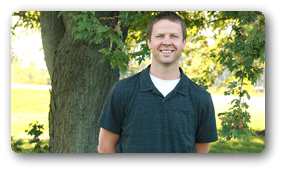 He graduated from Michigan State’s College of Veterinary Medicine in 2001 and has been working at Milford ever since. He has a special interest in small animal dentistry and small ruminant medicine and surgery. Dr. Smith and his wife Janelle live on a small farm where they raise commercial sheep. They have 5 children: Braden, Abby, Levi, David, and Benjamin. He enjoys fishing, gardening, and most outdoor activities. Dr. Kolberg grew up in Galien, Michigan on a small hobby farm and showed for 15 years at the Berrien County Youth Fair (BCYF). She received a Bachelor’s of Animal Science from Andrew’s University in 2005 and graduated from Michigan State University College of Veterinary Medicine in 2010. She currently has a small hobby farm which includes pygmy goats, a llama, chickens, ducks, cats, and dogs. While she's not working, Dr. Kolberg enjoys showing the pygmy goats nationally, being a co-superintendent of the goat barn at the BCYF, reading and spending time with family and friends. 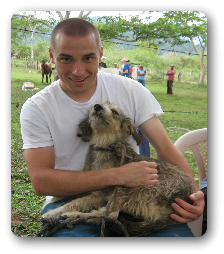 Dr Nourie is our newest veterinarian, graduating from the University of Illinios in May 2016. 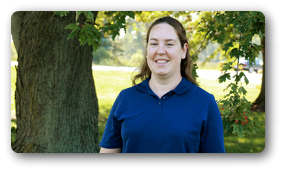 She specializes and enjoys helping animals and their owners with pets behavioral problems. She has a deaf dog named Gaia, and a Dog mixed breed puppy named Dax. She enjoys long walks with her dogs and being with friends and family.